Today’s reading is all about the covenant. God’s establishing His covenant with Israel through Abraham, and Jesus’ fulfillment and expansion of the covenant from the Jews to all people. Covenant is a hard concept for us in the modern world to understand sometimes, accustomed as we are to the notion of contracts. My husband is a lawyer, so I am well acquainted with contracts. While a contract is an agreement between two people that will be honored as long as both parties do what they said they would, a covenant is worlds beyond any contract. A covenant says that I will be faithful, regardless of whether or not you are faithful. I will be faithful even in the absence of your faithfulness. This is the promise God makes to each one of us. 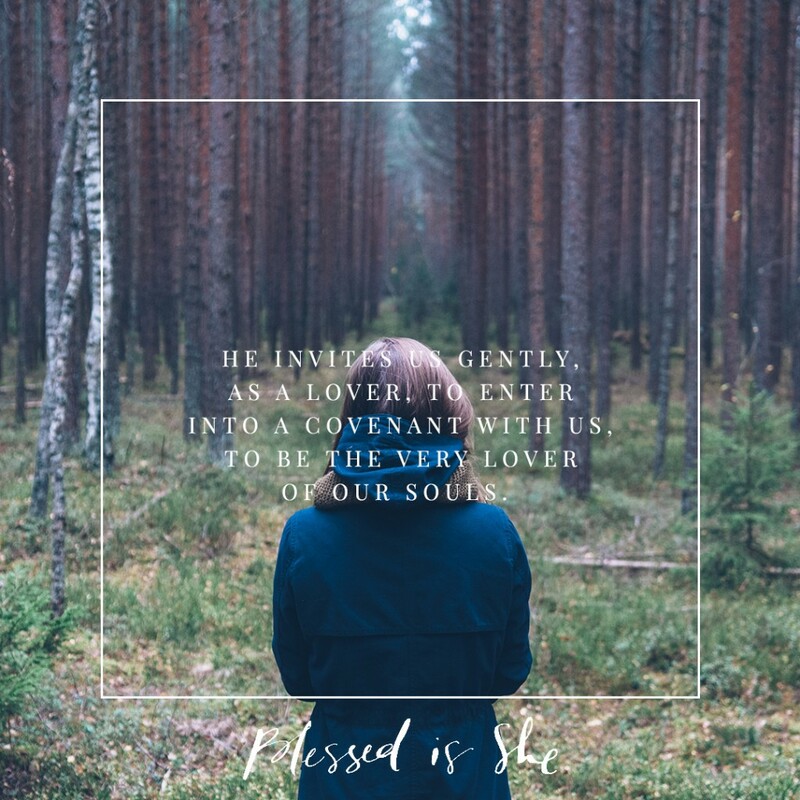 He invites us gently, as a lover, to enter into a covenant with us, to be the very Lover of our souls. He invites us, knowing full well we will break the covenant, we will lose our faithfulness, we will turn away from God to our petty gods. Knowing all of this, He calls us anyway. This is also the promise of matrimony, of the sacrament which is also a covenant. On my wedding day I entered into a contract with my husband, acknowledged by the state. But much more importantly, I entered into a covenant with my husband and my God. To love, honor, and cherish this man, all the days of my life. Whether I feel like it or not. A holy priest reminded me in the confessional once that my husband is the only person I will ever make vows to in my whole life, and that is of singular importance. These readings remind me of my own vows, of God’s faithfulness to me day in and day out. They invite me to extend that same faithfulness to my spouse day in and day out, even—especially—during these tough seasons of intense child-rearing. His love is yesterday, today, and forever. May the same be said of us, when all our days are done. His love is yesterday, today, + forever. May the same be said of us, when all our days are done. What has God called you to be faithful to? How can you embody God’s faithfulness to someone this week?